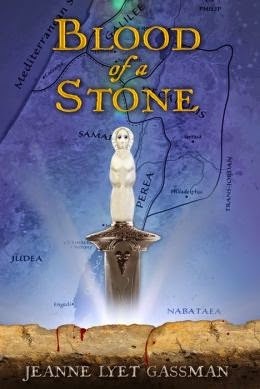 I had the pleasure of reading an advanced copy of Jeanne Gassman's debut novel, Blood of a Stone, and I was thoroughly impressed with this new author's grasp on the era and her compelling characters! A wonderful book! BLOOD OF A STONE by Jeanne Gassman is an enthralling, introspective historical tale that studies the human spirit in all its various forms: the good, the bad, the ugly and the beautiful. The novel is touching, wonderfully written and has a stunning story line that will stay with me for a long time. We are first introduced to Demetrios, a gentile, as a child being sold into slavery by his ruthless father. He is treated awfully by his slave owner as well which pushes him to grab hold of a stone and commit a heinous crime. He has to escape of face certain death. Along with a former slave, Elazar, a Jew, they start a new life as caravan drivers. Demetrios has his first taste of love, but it is quickly ripped away. He also struggles with a sense of self and with how he is perceived by others. His paranoia regarding his past is a constant badge he wears and causes him to struggle nearly every day and in every interaction. Just when it seems like for him may be taking a turn for the better, Elazar deserts him, pursuing his own spiritual path as of Jesus's followers. Demetrios is heart broken that his long-time friend and business partner would desert him, but he is even more hurt when he finds out that Elazar has betrayed his trust and confided in Jesus all of Demetrios's past crimes. Unsure of what to do, he seeks out a Sorceress of Galilee, hoping for her to give him a solution to his problem. But what she tasks him with would cause his own death if he were caught--but the alternative is that he risks being caught anyway. With his new mission in mind, Demetrios plans to find Jesus on his path to Jerusalem with his caravan. But in the end, he gets and loses a lot more than he bargained for. A harrowing and emotional journey that will test the limits of Demetrios's resolve and will. This book was well researched and presented. The details really made the scenery come alive, and the characters were compelling. The novel is deeply moving. Highly recommend! JEANNE LYET GASSMAN lives in Arizona where the desert landscape inspires much of her fiction. She holds an MFA in Writing from Vermont College of Fine Arts and has received fellowships from Ragdale and the Arizona Commission on the Arts. In addition to writing, Jeanne teaches creative writing workshops in the Phoenix, Arizona, metropolitan area. 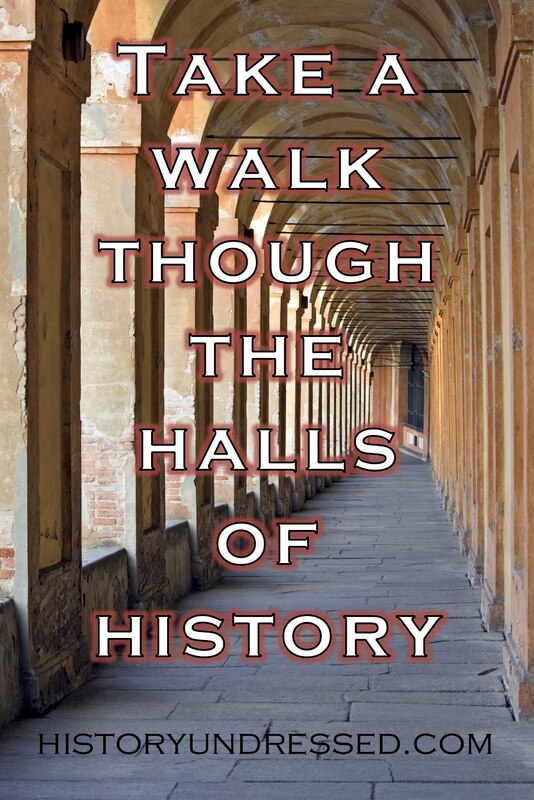 Her work has appeared in Hermeneutic Chaos Literary Journal, Red Savina Review, The Museum of Americana, Assisi: An Online Journal of Arts & Letters, Switchback, Literary Mama, and Barrelhouse, among many others. Blood of a Stone is her debut novel. Visit her website! 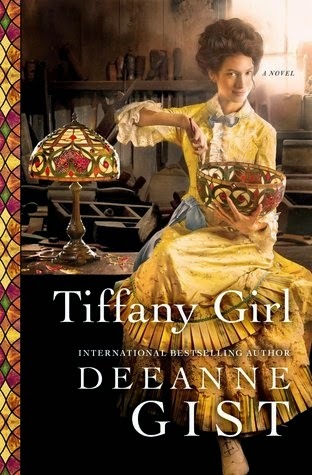 I had the extreme pleasure to read an advance copy of Deeanne Gist's new book, Tiffany Girl. Mark your calendars, because it releases in just a few weeks! It was a fascinating read, and I thoroughly enjoyed it. As preparations for the 1893 World’s Fair set Chicago and the nation on fire, Louis Tiffany—heir to the exclusive Fifth Avenue jewelry empire—is left without a staff when glassworkers go on strike just months before the unveiling of Tiffany’s hyped mosaic chapel at the Fair’s grand opening. Desperate and without another option, Tiffany turns to a group of female art students to finish the job. Flossie Jayne answers the call, moving into a New York City boardinghouse with high hopes of making a name for herself as an artist and defying those who say the work can't be completed in time—least of all by a set of young, inexperienced women. As she flouts polite society’s restrictions on females and becomes a Tiffany Girl, her ambitions are threatened from an unexpected quarter: her own heart. Who will claim victory? Her dreams or the captivating boarder next door? Tiffany Girl (Howard Books, May 5, 2015, ISBN 978-1-4516-9244-0), by international bestselling author Deeanne Gist, is the heartwarming story of the impetuous Flossie Jayne, whose parents are scandalized that their daughter will not only be employed but living and working in a man’s world. With visions of her paintings hanging one day in the Metropolitan Museum of Art, Flossie cheerfully sets out to impress the enterprising Tiffany with the exceptional talent she has always been told she possesses. Bringing her characteristic charm and enthusiasm to the task, she also dedicates her significant energy and unflagging optimism into reshaping her boardinghouse into a cozy respite from the harsh realities outside its doors, and into transforming its boarders into one big happy family. Reeve Wilder, a cynical journalist from the school of hard knocks, scoffs at Flossie’s efforts and warns her that he and the other residents aren’t and never will be her family. Determined that she will prevail, Flossie embraces her new life and the colorful residents with vigor, but soon learns that the world is less welcoming than she had anticipated. New Women are groped, propositioned and scorned. Against his better judgment, Reeve finds himself wanting to protect her from danger, and even from herself. For he sees what she can’t: Her talent is average, and there’s bound to be heartache ahead for her as a Tiffany Girl. As challenges mount, her ambitions are threatened from yet another quarter: her growing attraction to Reeve. There is no future for her with him, for married women are not allowed in the workforce. A traditional life with Reeve would dash not only her life as a New Woman, but her lifelong dreams of becoming a renowned artist. Gist's newest novel, Tiffany Girl, is eye-opening and heart-warming tale regarding women's rights in the late nineteenth century, and the struggles for women's independence, self-discovery and love. Flossie, aka Florence Rachel Jayne, is a young unmarried gal, (twenty-one I believe), who lives at home with her parents. She's been attending art school while helping her mother run her seamstress business. But it occurs to her, that she's working awfully hard and not getting to keep any of the money she's earned. After suggesting to her mother that instead of giving all their hard earned money to her father (who is squandering it--but he's not a bad guy, I promise! 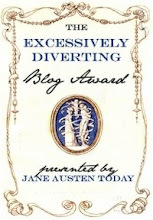 ), she and her mother get into a disagreement, which sets Flossie's goals in motion. She wants to be able to work, earn her money and keep it. But, this is an entirely unacceptable concept for the times. In fact, unmarried women who live and work on their own are considered scandalous. They are titled New Women which comes with a lot of stigma, most of it not good. 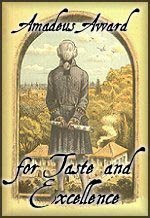 But, when an opportunity strikes for Flossie to work for Mr. Tiffany on his stained glass chapel that will be featured at the World's Fair, she grasps it and rushes headlong into her life as a New Woman--despite her parents reservations. She has a very strong character and a determination that is refreshing. From the first page, I was rooting for her. When she arrives are her new boarding house, we get to see her from an outside perspective--one of her new housemates, Reeve Wilder, a cynical journalist. And guess what he writes about??? NEW WOMEN! He is entirely against the idea of the New Woman, and having Flossie, full of life, breeze into his life is extremely annoying to him. She does make some bad choices, and sometimes her thinking is very naive. But because we're in her head, we don't always see it until its too late! Or, we're worried while she's thinking and doing something, or we see it from Reeve's perspective (which is hilarious). The antics that ensue!!! Let me just say, I laughed, I cheered, I gasped in horror, I gasped in surprised, I speculated, I worried, I hoped. I loved. At one point about 6/8 of the way through the book, I was certain everything was going to hell in a hand basket and that it wasn't a heart-warming tale after all, but one meant to inflict pain...on me. All this, because I was so emotionally invested in the characters and they were having some serious conflicts. Needless to say, I was completely emotionally involved in the story. A test of a truly amazing author--when they can elicit that kind of emotion from their readers! One of the things I loved so much about this book is that we see huge transformations as individuals with Flossie, her parents, and Reeve. And then we also see how their character transformations change the way they view and interact with each other. I loved the journey and it led to a very satisfactory ending. Gist has a gift for writing and for engaging the reader. The characters in Tiffany Girl are compelling and lovable. They are flawed, they are perfect. Her prose is surrepticioulsy fast-paced--and what I mean by that is, that 100 pages will go by without you realizing it. I thoroughly enjoyed Tiffany Girl and was left with that truly wonderful satisfying feeling you have after reading an amazing book about life, love, hope, change. I highly recommend it! Deeanne Gist has rocketed up the bestseller lists and captured readers everywhere with her very original, very fun historicals. Add to this four RITA nominations, two consecutive Christy Awards, rave reviews, and a growing loyal fan base, and you’ve got one recipe for success. With three-quarters of a million trade books sold, her awards include National Readers’ Choice, Book Buyers’ Best, Golden Quill, Books*A*Million Pick of the Month, Romantic Times Pick of the Month, Award of Excellence, and Laurel Wreath. She has a very active online community on her blog, on Facebook, Pinterest, and on her YouTube channel. Gist lives in Texas with her husband of thirty-one years and their border collie. They have four grown children.